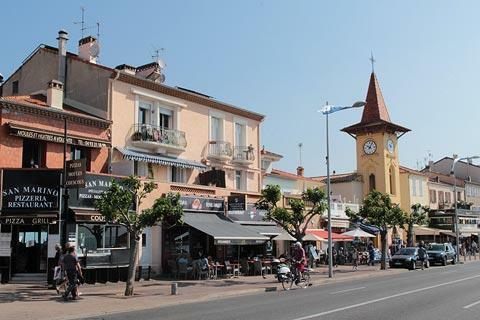 Cagnes-sur-Mer is found on the French riviera between Nice and Antibes. 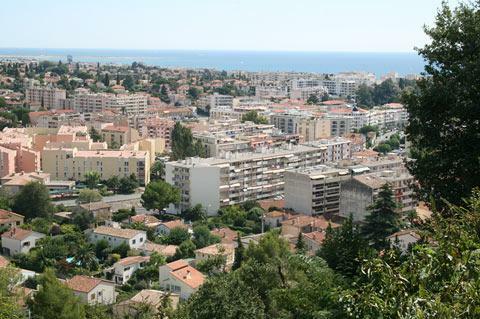 Cagnes consists of three separate parts: Cagnes-sur-Mer, the seaside resort; Cagnes town just behind the resort; and Haut-de-Cagnes, the original settlement on the hill behind. 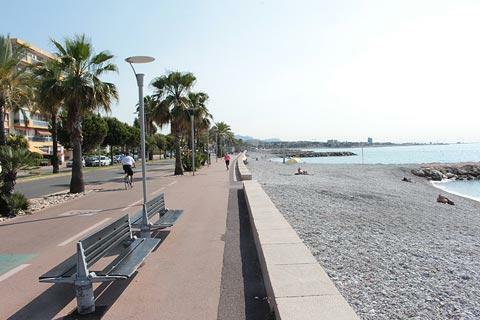 France This Way comment: there is a beach and seafront cafes and restaurants in Cagnes-sur-Mer, but if we were staying in this part of the riviera and looking for a beach we would choose Nice or Antibes which both have more attractive sea-fronts than Cagnes. 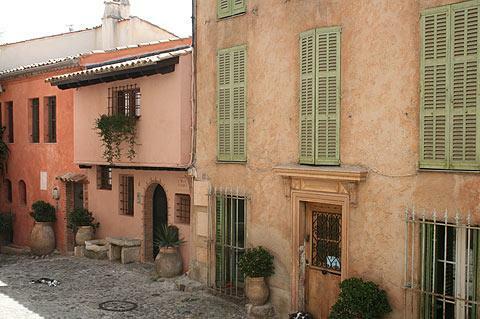 It is Haut-de-Cagnes, the village at the top of the hill, that is the most interesting part of your visit. Standing as it does in the location of an earlier village occupied in turn by both the greeks and the Romans, Haut-de-Cagnes has lots of old narrow lanes and stairways to explore and at the top of the hill is the castle for which the town is best known. The village itself winds around the top of the hill below the castle, with the steep streets lined with numerous attractive medieval and renaissance period houses. To one side is a large open area with a couple of cafes, while the remainder is a mix of narrow streets, houses painted in pastel shades, a small square of arcaded houses...it is quite compact but very pleasant to explore. 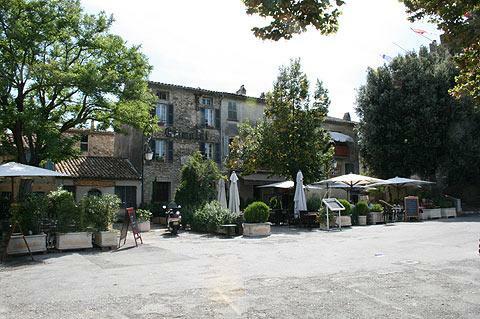 Standing in the centre of Haut-de-Cagnes, Chateau Grimaldi was once the most important centre in the region, when the Grimaldi family were all rich and all powerful, and dates from the 14th-16th centuries. Squat and very strong looking the chateau contains some very interesting highlights, including a stunning internal courtyard with lovely galleries, a fine staircase, a monumental fireplace and an elaborately painted ceiling - dating from the renovation of the castle in the early 17th century that transformed Chateau Grimaldi from a fortress to comfortable living space. Not surprisingly the views from the castle tower out to sea are very impressive. 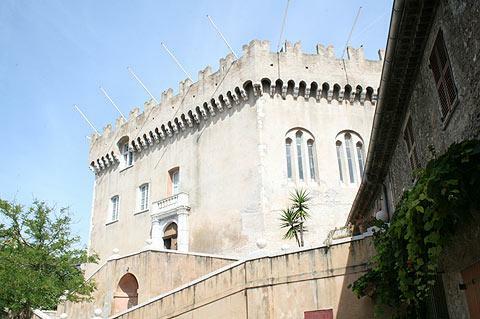 The Mediterranean Museum of Modern Art is in the castle, as is the Museum of the Olives. Other historic monuments of interest in Haut-de-Cagnes include the church of Saint-Peter and several historic gateways. 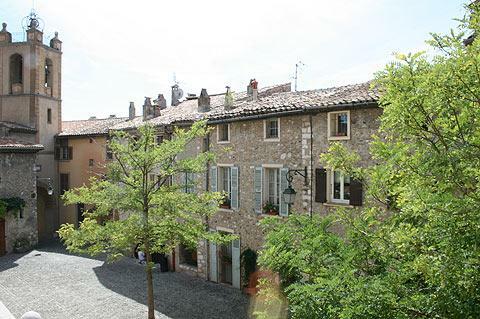 You will also discover views elsewhere in Haut-de-Cagnes across Cagnes-sur-Mer and beyond. One highlight of a visit to Cagnes is to the estate and Renoir Museum in the Collettes quarter to the east of the centre. 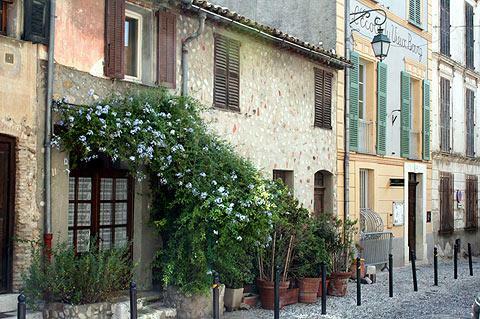 Cagnes-sur-Mer was the last home of impressionist painter Renoir and his estate can be visited, along with a collection of 11 of his paintings and some other works by well known artists in the Musee Renoir. 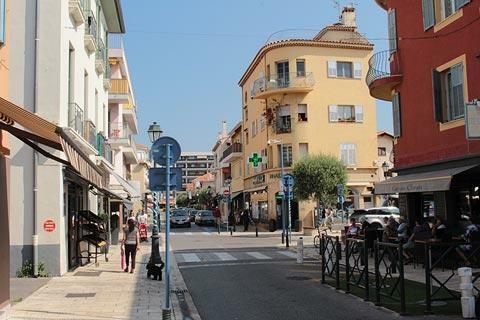 The other two parts of the village are the 'new town' at the foot of the hill and the old fishing port called Le Cros de Cagnes. Fishing was the main industry in the village before tourism arrived and although fishing is no longer such an important industry here the port is still a good place to find a fish restaurant. From here you also have access to several kilometres of pebble beaches in the main seaside resort of Cagnes-sur-Mer, a popular and bustling destination in the summer months offering numerous sea based activities. 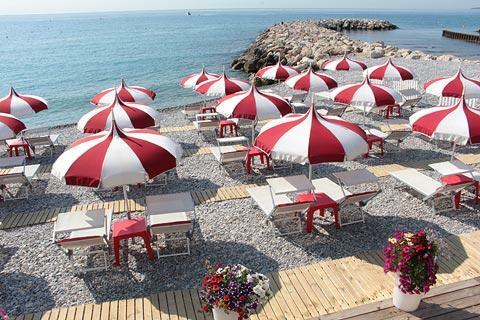 The main beach in Cagnes-sur-Mer is a pebble beach, and a large part of it is freely available to the public - although you can pay and be on a section of the beach with seats and a parasol if you prefer. 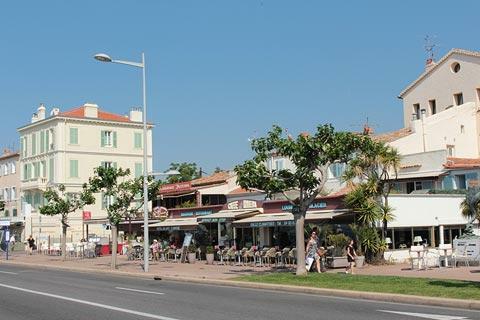 You will also find a small shopping centre around the Chapel of Saint-Pierre across the road from the beach, and several cafes right next to the beach. Exploring along the coast we recommend you visit both Nice to the north-east and Antibes to the south-west: these two towns are very different in character and both are very lovely towns to explore or to find a different beach. If you prefer quaint villages you should travel north from Cagnes-sur-Mer and visit both Vence and Saint-Paul-de-Vence, two of the most charming villages in the region.